What is the best way to distract someones attention in magic tricks? I do magic tricks and frequently need to misdirect someones attention from my hands. 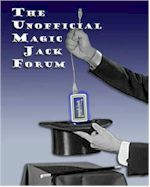 are there any magicians or anyone who knows of a great method to misdirect someone? The best way is to post a meaningless question in a forum that has nothing to do with what you posted. It sure distracted me from reading the important stuff here. The common denominator is the word " magic"
Dan's got a good magic trick going on... He takes your money and then provides terrible customer service. Or is that terrible "custom server" (see other thread some where else in here). I have a good question coming up for April fools. Watch the MJ+ forum on Sunday.